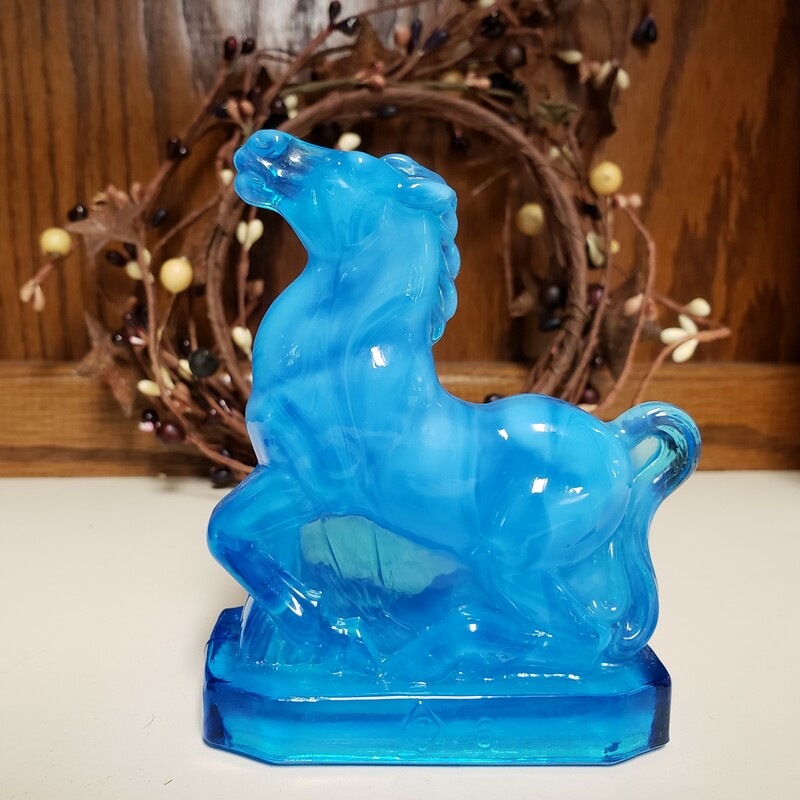 Joey the Horse in Azure Blue, Bargain Shack offers Boyd Glass, Mosser Glass, L.G. Wright, and Contemporary Collectible Glass including Vaseline Glass - J.B. Scottie Dogs, Pooche, Animal Covered Nests, Toothpick Holders, Salts, Glass Animal Figurines, Clowns, Dolls, Slippers, Vehicles, and More! Joey the Horse in Azure Blue is color number 50 of Boyd's seventh set of Joey Horses. The production date is April 9, 1986. Standing 4" tall he has a 3" solid base. This beauty of a horse has the Boyd trademark of a B inside a diamond with one line and the number 6. This is a very rare find and I only have one of these in stock.